Another Military Poster commissioned by michael484. 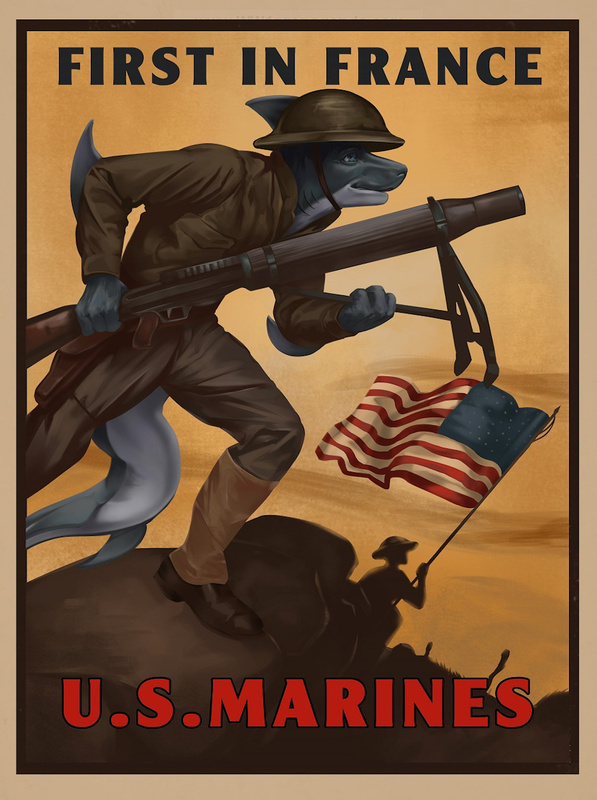 This time, it's his brave shark Sona, Ka'eo storming the German defences in France as a WW1 US Marine! A shark Marine - fitting, right? I got a very Norman Rockwell-y feel from the original poster so this has been a pretty fun commission, since I have studied the Golden Age Illustrators' style in the past. If you're interested in commissioning me, I'm open! Feel free to check my prices here: https://inkbunny.net/s/1443684 and send me a note. Thank you for checking out my work!